EXTREME Broadband Sdn Bhd has launched Malaysia’s second Internet exchange, the Johor Baru Internet Exchange (JBIX), which will lower Internet connectivity costs and potentially allow for cost savings to be passed on to consumers. The exchange will be the first local open Internet exchange that welcomes peering between all types of organisations such as education and finance, over-the-top content providers, regional and local Internet service provider (ISP), hosting firms and more. 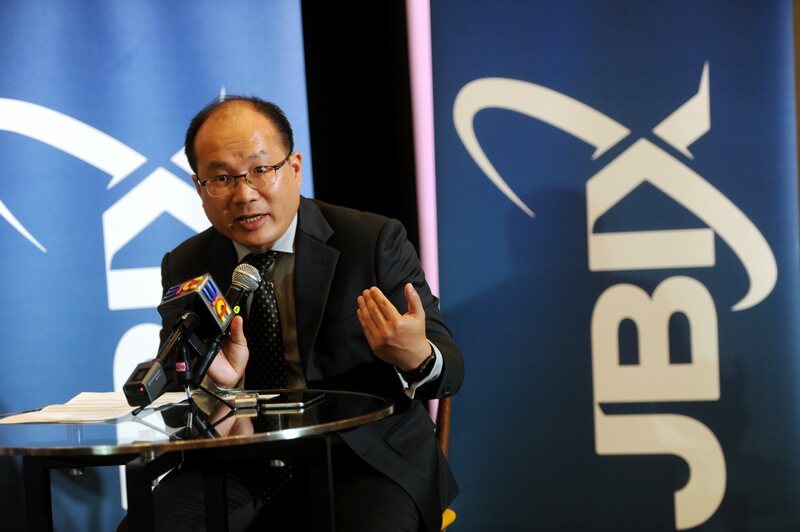 JBIX chief peering officer and Extreme Broadband MD Wong Weng Yew (picture) said the exchange was built to serve the regional Internet community, in response to the government’s call to lower Internet costs and increase Internet accessibility for all. “JBIX will directly connect non-ISP businesses to the Internet Exchange. We will also absorb all port charges for Malaysian businesses for the first 12 months and the following charges will be the lowest in the region. “The lower port charges will be a boon to telecommunication providers as this will bring down their cost, which they should be able to extend to consumers,” he said at the launching ceremony in Kuala Lumpur yesterday. According to Wong, the existing Malaysia Internet Exchange (MyIX) charges around RM8,000 per 10GB port, while JBIX charges around RM4,000. “We’re mainly targeting content providers, content delivery networks, cloud service providers, and domestic, regional and international telecommunication companies (telcos). We’re in constant discussions with domestic telcos to get on board,” he said. Wong added that development on these talks will be announced in the near future. Peering is an essential process in Internet traffic exchange as it ensures traffic remains domestic by allowing businesses to exchange Internet traffic directly without travelling overseas or through different providers, thus reducing the “ping time” between the exchange of data over the Internet. While MyIX is already present locally, non-licensed ISPs and businesses are unable to peer directly on the platform and have to rely on ISPs. “This is why we decided to launch JBIX, which will be open to businesses from any country utilising social media platforms, as well as local and regional ISPs. “By directly peering to JBIX, organisations like banks and educational institutions can exchange data faster, which improves the Internet experience of its users,” Wong said. The infrastructure of the exchange will be privately funded by Extreme Broadband, which is an ISP licensed by the Malaysian Communication and Multimedia Commission. Johor Baru was selected as the location for the exchange to allow ISPs and businesses from Singapore to directly connect to Malaysian businesses and vice versa. Traffic between Singapore and the south of Malaysia will also experience faster connectivity as the exchange of data will now take place in Johor instead of Kuala Lumpur. Besides Singapore, the exchange is expected to attract regional players on the lookout for better peering opportunities in the region. “We hope to become the hub for regional traffic and content exchange for the South-East Asia region. We have already received keen interest from ISPs and content providers based in Thailand and Singapore, as well as from regional telcos from Singapore, Thailand, the Philippines, South Africa and the US,” Wong stated. At present, 12 companies from four countries have committed to peering in JBIX, which currently has the capacity to host at least 200 players. “The biggest Internet exchange in Singapore has 250 peers. Given our proximity to Singapore, I won’t be surprised ifwecangetabigchunkof them to come on board the JBIX,” Wong said. According to Wong, the company is not worried about competing with MyIX as organisations are free to commit to either MyIX or JBIX. He believes many will see this as an opportunity to enhance their peering capabilities. Membership for JBIX is free and peering partners are able to join and leave anytime without a contract, with public, private and remote peering options available. The peering ports are available at 1G, 10G and 100G, while the exchange is hosted at the Open DC data centre located 2km from the Johor-Singapore Causeway.